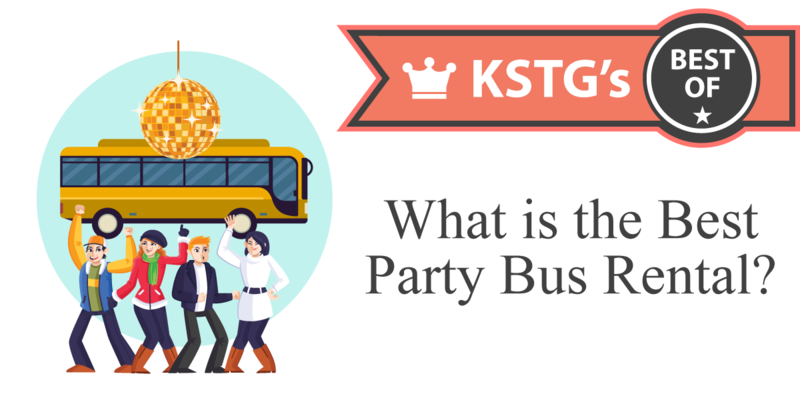 What is the Best Party Bus Rental? This is one in a series of blogs helping people in the greater Philadelphia, PA learn how to identify the Best of when it comes to booking transportation. As the leading luxury ground transportation company in the greater Philadelphia, PA area, Kevin Smith Transportation Group carries the responsibility of delivering the best service. This series will help you ensure you get the best of your next rental. Are you looking to book the Best Party Bus, the Best Limousine or the Best Executive Car service in the greater Philadelphia, PA area? Whether the trip is a ride to the airport or an all-day Wine Tour, simply call KSTG today at 610-222-6225 and let the best concierges in the industry arrange all of your transportation. Whether you’re renting a vehicle for personal or business use, you want the best possible experience. At Kevin Smith Transportation Group, we have worked closely with our clients ensuring they get the best service in the industry. Here are the 5 tips to ensuring you get the best Party Bus rental possible. Some companies will post “pictures” on their website but those pictures are from the internet and not their own buses. To ensure you get the best Party Bus rental, ask to see the actual pictures of the Party Bus you are going to rent. Some companies will advertise for Party Buses but don’t actually own any. To make sure you get the best Party Bus rental possible, make sure it is a local company that works with people in your area every day. Some companies will advertise a 25 passenger Party Bus but it can only hold 25 if the 25 were very small children! For the best Party Bus rental, make sure you understand how many adults will fit comfortably. Make sure you understand how the pricing works if you go over your time because almost every Party Bus rental runs over time. The best Party Bus rentals have transparent pricing so there are no surprises when the bill arrives. Sometimes, you may want to have the Party Bus decorated or certain suppliers placed on the bus. While there may be a cost for these extras, the best Party Bus rental is one where you can customize your entire experience. By following these 5 tips, you will give yourself the greatest chance to experience the Best Party Bus Rental in the greater Philadelphia, PA area. So whether you are looking for the best Party Bus rental, the Best Limousine service or the Best Employee Shuttle Service, just call Kevin Smith Transportation Group at 610-222-6225 and let the best Concierges in the industry arrange all of your transportation. Thank you for reading our continuing series on Best of transportation services in the greater Philadelphia, PA area. To read any of our blogs on ground transportation, go to https://kevinsmithgroup.com/blog/ and select from more than 10 unique blog series including Wedding Tips, Corporate Transportation and Party Bus services.